While the ISAF has delayed its much publicized Kandahar offensive, once again, the Taliban aren’t waiting around on the defensive. The Taliban continue to attack the ISAF, and they’re attacking them where they live, in broad daylight. Afghan Taliban-linked militants launched a bold daytime attack on a NATO airfield outside the eastern Afghan city of Jalalabad on Wednesday, setting off a car bomb and firing light weapons and rocket-propelled grenades in a battle that killed at least eight militants and wounded two coalition personnel. The attack comes at a delicate time for the NATO-led International Security and Assistance Force (ISAF), just days before US General David Petraeus arrives to assume command after the ouster of US General Stanley McChrystal for insubordination. Coalition casualties are also climbing: as The Christian Science Monitor reported, June has been the deadliest month of the nine-year war for coalition troops, with 101 soldiers killed. Wednesday’s battle began when a car bomb went off at the entrance to Jalalabad airfield, 78 miles east of the Afghan capital of Kabul near the border with Pakistan. The explosion was followed by a 30-minute gun battle with militants, says the Associated Press. Eight attackers were killed and two coalition personnel were wounded, including one Afghan soldier and one international soldier. The New York Times reports that the attack was similar in style to the attack on Bagram Air Base in May, when a suicide bomber driving a car detonated his explosives at a gate to the base, clearing the way for Taliban fighters to enter the complex. The BBC reports that militants attacked the Jalalabad base from multiple directions in what it calls “a commando-style raid,” a more sophisticated tactic that the Taliban has increasingly relied on to deliver heavier civilian and military casualties. Although, so far, the Taliban haven’t been able to cause any substantial damage or casualties or successfully breach the perimeter of any of the major ISAF bases that they’ve brazenly attacked recently, they have shown sophistication in planning the attacks and they’ve been extremely persistent. All it will take is for the Taliban to breach the perimeter of just one of these bases and get their militants inside to cause a lot of mayhem and score a huge propaganda victory, along the lines of the Viet Cong getting inside the wall of the U.S. embassy in Saigon during the Tet Offensive. Tactically, it was nothing, strategically, it meant everything, in terms of propaganda. In Your Face Obama And Reid! After billions of dollars spent and decades of study and construction of the Yucca Mountain Repository, while nuclear waste has literally been piling up at nuclear power plants across the country, the Obama administration and Harry Reid conspired to abruptly pull the plug on the project, just as it was getting set to start receiving waste. Why? Because Democrats don’t like nuclear power (or electricity generation in general, for that matter) and if there’s nowhere to permanently store the nuclear waste, there won’t be any new nuclear power plants built. Well guess what? 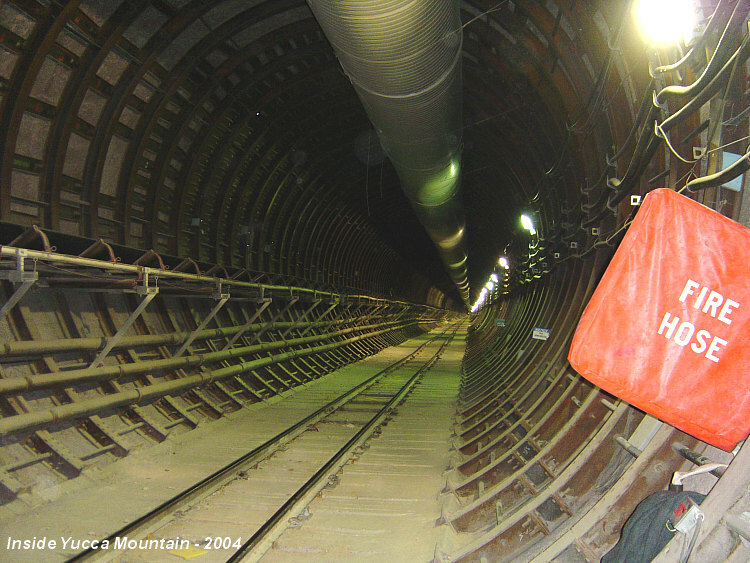 The battle for Yucca Mountain isn’t over yet. Federal regulators on Tuesday denied a request by the Obama administration to withdraw an application for the first national nuclear-waste repository at Yucca Mountain in Nevada. The administration said in March that it would withdraw the application. The move marked a victory for Sen. Majority Leader Harry Reid, (D., Nev.), who has made killing the Yucca Mountain project a priority. Mr. Reid is running for re-election this year in a tough race. The Energy Department’s application to develop Yucca Mountain as a nuclear waste repository has been pending with the NRC since June 2008, when the Bush administration applied for the license. Utility operators had expressed concern at the Energy Department’s decision to withdraw the permit application, saying that without progress toward developing a permanent nuclear-waste storage facility some states could refuse to permit new nuclear power plants. The nuclear industry has contributed about $10 billion to a fund to develop a permanent national waste facility. Of course, the Obama administration won’t take no for an answer and will continue to try and sabatoge the Yucca Mountain Repository because nuclear power is bad. Let’s just hope we can get Yucca Mountain open, so that we can move all the nuclear waste from all across the country to a centralized storage facility, for safety and security reasons, and then maybe we could actually build some new nuclear power plants, like we already should have been doing for the last thirty years. It’s Summer, time for boys and girls to go to camp and have fun! Um, sorry, no, fun is against Islam. A group of armed men has vandalised a UN summer camp in the Gaza Strip, the second such attack in just over one month. The attackers destroyed tents, toys, a plastic swimming pool and set much of the camp’s equipment on fire on Monday. John Ging, the head of the UN Relief and Works Agency (UNRWA) in Gaza, called it a “cowardly act,” and vowed to rebuild the camp quickly. “This is another example of the growing levels of extremism in Gaza, and further evidence, if that were needed, of the urgency to change the situation on the ground,” Ging said. The United Nations runs a network of summer camps for some 250,000 children in Gaza, which include games, sports and human rights lessons. The attacks have been widely attributed to extremist groups in Gaza that view the camps as religiously unacceptable, because boys and girls mingle freely. There’s something seriously [expletive deleted] up about a religion that doesn’t allow children to have fun. /is it any wonder that Muslim children grow up to hate Jews and Infidels and that their highest possible calling in life is to blow themselves up as a “martyr”? Last week all the major indexes lost ground. The Nasdaq and the S&P 500 both dropped 3.7%, the NYSE composite slid 3.2%, and the Dow dipped 2.9%. By Thursday, this negative action caused the IBD outlook to roll over to “uptrend under pressure”. Buy stocks at your own risk. Four watch list stocks are possible buy candidates this week, .LULU, BIDU, AAPL and CTSH. However, with the market uptrend under pressure, proceed with caution. LULU, trading at $41.06, found support at its 10 week line and is in buy range up to $48.81. BIDU, trading at $75.10, also found support at its 10 week line and is in buy range up to $81.86. AAPL is trading at $266.70 and is still within 5% of a $266.04 buy point. CTSH is trading at $52.58 and has formed a cup with high handle base, with a $54.91 buy point. They’re getting really close now, this is exciting stuff. Now two research groups have made major strides in attacking the problem. One has successfully engineered a lung that can sustain a living rat and the other has created a lung-mimicking device for toxicology studies that acts more like a real lung than any earlier efforts, the groups reported Thursday in the journal Science. One report brings closer the day when artificial lungs might be grown for human transplants; the other offers a method for testing the effects of toxic chemicals on lungs that is cheaper and more humane than animal tests and more reliable than ones done in test tubes, scientists said. In work colleagues described as daring, a team led by Dr. Laura Niklason at Yale University grew rat lungs almost from scratch. 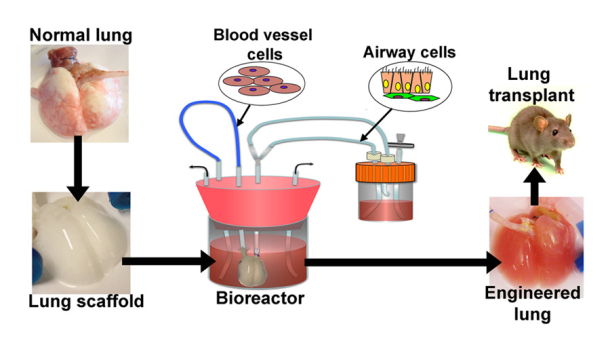 They seeded these scaffolds with lung cells from newborn rats and — through careful coaxing that included incubation in a “lung bioreactor” that mimicked the fetal lung environment — produced what appeared to be functional lungs. They then implanted the lungs into four live rats and showed that the engineered lungs were 95% as efficient as natural ones. The same methodology had been used to successfully create beating rat and pig hearts in 2008 — although in those cases, the organs were never transplanted into living animals. There are still kinks in the process: A few hours after rats received the lungs, tiny blood clots began to form, probably because of bare spots on the scaffold. “It’s pointed out to us what worked, but it’s also pointed out to us what needs to be made better,” Niklason said. It was sixty years ago today, when his daddy, Kim Il Sung, started a war that has yet to end. Vietnam used to claim that dubious title. Now it’s Afghanistan. But the surprise communist invasion 60 years ago today began a Korean war that eventually saw an armistice but still no peace treaty. Indeed, since major fighting stopped in 1953, more than 90 Americans and 300 South Korean soldiers have been killed in clashes along the DMZ barbed wire between North and South Korea — in addition to the 46 ROK sailors killed by a North Korean torpedo in March. That summer of 1950 tested America’s commitment to the cause of freedom as never before, not even in World War II. There was no Pearl Harbor, and no American interests at stake in Korea but one: that other peoples should never be enslaved against their will. The Soviet-backed invasion came just five years after V-J Day. It was the first serious test of America’s post-World War II strength of will and its new strategy of containing communism. Would America step up to protect an impoverished nation so far from any vital shore? Many feared the Truman administration, with its attention focused on Europe, would not. They were wrong. President Harry Truman got off a plane in Washington and immediately agreed to swift action to save South Korea. He had been thinking about Hitler and Mussolini on the plane, Truman said; this time, the totalitarians would not get away with it. America would send in troops at once. The problem was, there were no troops — or very few. In 1945, America had spent $50 billion on defense, in 1950 $5 billion. Its 8.25 million-strong military had shrunk to less than 600,000, most of them still in Europe. The Eighth Army’s four undermanned, underequipped divisions would somehow have to stem the massive communist tide, as Gen. Walton Walker fed his troops in piecemeal. Technically, we’re still at war, there was only a ceasefire, South Korea never signed the Korean Armistice Agreement. 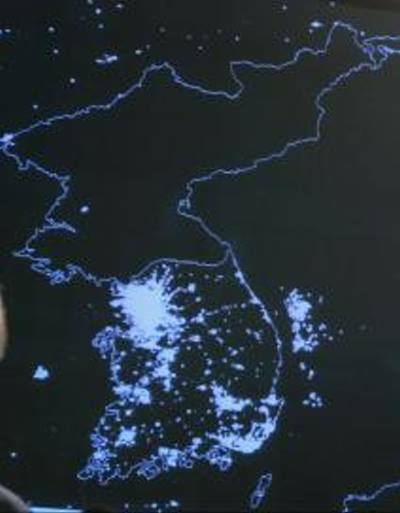 So, the South Koreans live in freedom while the North lives in oppressive darkness. /when will the North be free and Korea finally reunited? I’m an expert carp fisherman, caught over a hundred of ’em in one day once. It’s the best, pound for pound, fishing you’ll ever experience, they fight like hell. But I must confess, I ain’t never seen or caught a carp that flies. However, they seem to be getting closer to where I live in Minnesota. Wildlife officials in Illinois reported this week that a 20-pound bighead Asian carp has been caught just six miles from Lake Michigan. The fish was caught beyond an electric barrier designed to keep the species out of the Great Lakes. According to Illinois Department of Natural Resources (IDNR) officials, the catch marks the first time an Asian carp has been found beyond the Calumet River electric barrier. Wildlife officials have fighting the species from entering the Great Lakes for several years, as Asian carp pose serious threats to the ecosystem. Asian Carp are voracious eaters and can quickly change the scope of the Great Lakes underwater landscape. Able to eat their body weight in a day, Asian carp feed so rapidly, they could legitimately starve out populations of trout, whitefish and other commercially beneficial fish, DNR officials said. Asian carp are also skittish fish and known to soar out of the water when startled. Several anglers have reported being injured by random carp darting through the air. Leave it to the liberal idiots at NPR to suggest that we can eat our way out of the problem.